Anesidora Winter Guard is an independent color guard based in Arvada, Colorado. We have been actively competing at the local level in the Rocky Mountain Color Guard Association circuit since 2012 and nationally since 2013. We pride ourselves on providing a thriving, artistic, and positive atmosphere for young adults. Anesidora is a registered 501(c)(3) nonprofit with a 509(a)(2) designation as a private charity. If you’re interested in supporting Anesidora, donations are tax-deductible! Raised in the savannas of Africa, Aaron’s parents were missionaries in Kenya for the first ten years of his life. There they raised ostriches on an ostrich farm. Afterward, Aaron moved to Colorado where he attended middle school and high school. At Arvada High School, Aaron was the vice president of GSA (Gay Straight Alliance) and it was there he was first introduced to color guard which is now his one true passion. 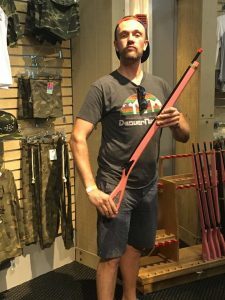 Aaron marched at Arvada all four years he was in high school and later went on to march Signature with Scot – the co-founder of Anesidora, and later, Opus X, . He now works part-time as an Abercrombie and Fitch model in addition to teaching color guard at Monarch and Highlands Ranch high schools. Scot has been involved with marching bands and winter guards since high school. He majored in music education in college performing with several ensembles. During this time, Scot taught percussion and color guard at several high schools in Florida and Kentucky before moving to Colorado. Scot has taught and assisted with several Colorado high school marching bands and winter guards since 2002. 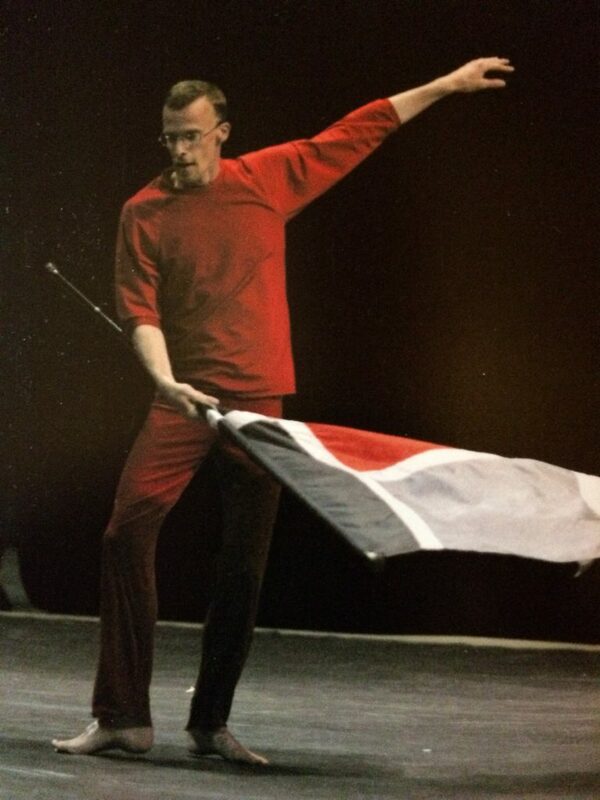 In 2004, he marched with the independent world class Signature Color Guard where he met Aaron. In 2011-2012, Aaron and Scot co-founded Anesidora. As of 2019, Scot is directing the new Anesidora IRA guard. He’s looking forward to Anesidora’s continued growth as a reputable organization to represent the state of Colorado! Danniell has been involved in the color guard activity for over 13 years, including with the 2004 World Champion Cavaliers Drum & Bugle Corps, as well as with Opus X Winter Guard, as a WGI open class medalist and world finalist. He has been teaching high school and independent winter guards since 2009. Color guard is Danniell’s passion and profession, and he is well equipped to teach technique for flag, rifle, saber, and movement, and is also an experienced choreographer.